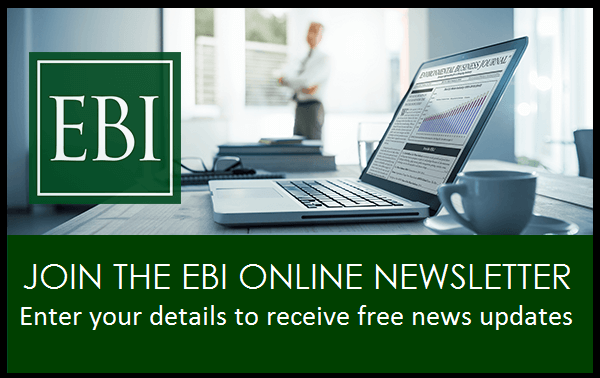 EBI founded Environmental Business Journal in 1988, giving shape to the Environmental Industry and providing strategic information and market forecasts for executives involved in 14 business segments, including environmental remediation, water & wastewater, air pollution control and consulting/engineering. The EBI segmentation and quantification of the Environmental Industry was adopted by the U.S. Department of Commerce’s Statistical Abstract, OECD, and many other government and private sources. 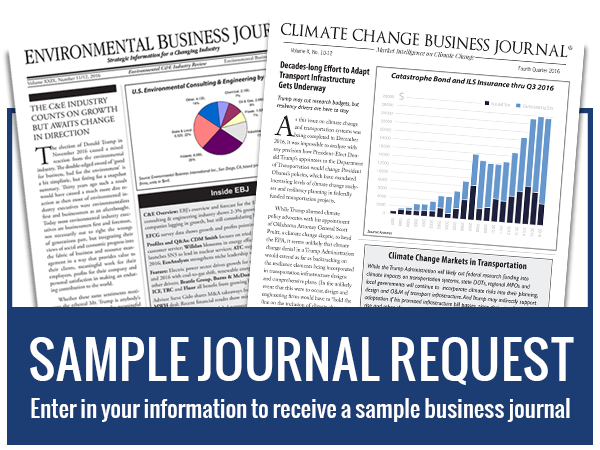 EBJ data and analysis have been published in numerous business plans, in addition to The Wall Street Journal, The New York Times, The Economist, Fortune and other leading trade and business periodicals.